Twitter is working on some big changes in the way it feeds you products through your feeds. The company today announced it’s testing two new type of pages to help highlight businesses, places and products. 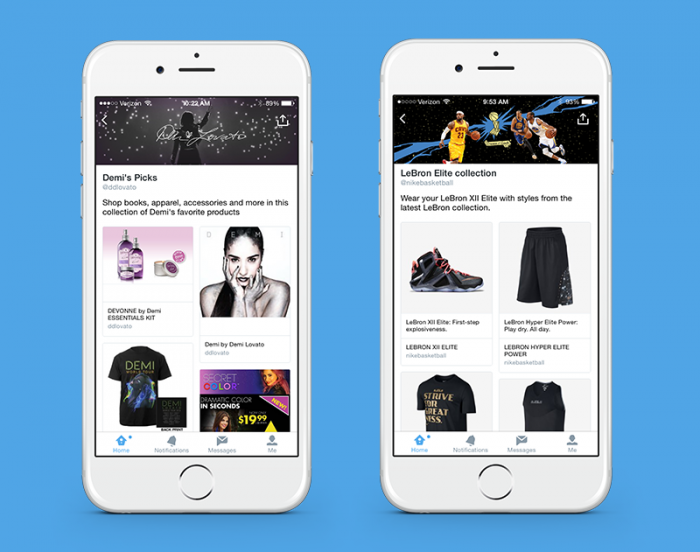 First up, Twitter is creating dedicated pages for businesses where you can find out more information about a particular product or brand. The page will show you images, related tweets, price and a description. You’ll also be able to buy products right from the app or the Web. On Android, iOS and Twitter.com, you can visit a brand’s profile to see their collections. On iOS, you’ll also be able to search for collections through the category menu that shows up when you tap on the search bar. Keep in mind you’ll have to update to the most recent version of the mobile apps to view the collections, however. Though these tests are limited to a few brands to start, we wouldn’t be surprised to see them stick around, given the big changes going on a Twitter HQ. And just yesterday, BuzzFeed revealed the upcoming Project Lightning, which will turn Twitter into a news-curating service. It even works for peeople without an account – something that should help fight stagnating user growth. The company makes a point in its blog post to that pages and Collections are just the beginning of a set of new features, so expect to read more news from Twitter in the coming months.